In 2001 Hugh inadvertently turned the world into a canvas when he drove in the shape of a fish on the roads of southern Oxfordshire and recorded the journey with a GPS receiver. 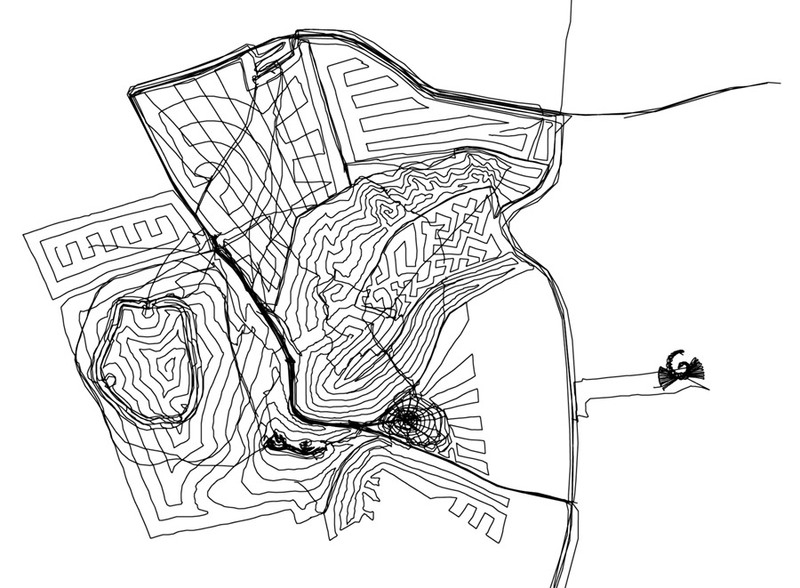 He founded the GPS Drawing Project with collaborator Jeremy Wood using his programming skills to visualise, animate and sculpt GPS data – this was in the days long before we had Google Earth. Despite the foot-and-mouth epidemic which drew the countryside to a standstill and made precious land area inaccessible, and spurred on by a burgeoning internet shocked by the events of 9-11 wanting a distraction, the project grew from strength to strength with workshops and exhibitions taking place all over the country and abroad. More GPS Drawing selected quotes. For an exhibition and workshop list see in the about Hugh page, and blog page here.